The Joint Commission (TJC) standards deal with organizational quality of care issues and the safety of the environment in which care is provided. Anyone believing that he or she has pertinent and valid information about such matters may request a public information interview with the Joint Commission's field representatives at the time of survey. Information presented at the interview will be carefully evaluated for relevance to the accreditation process. The requests must also indicate the nature of the information to be provided at the interview. The Joint Commission will acknowledge such request in writing or by telephone and will inform the organization of the request for any interview. The organization will, in turn, notify the interviewee of the date, time, and place of the meeting. It means our efforts, to give you the best care possible, have received the seal of approval from the premier accrediting body in healthcare today. The Joint Commission, a professional, nonprofit organization, strives to assure that its standards and those of its accredited facilities always reflect state-of-the-art in healthcare. By receiving this accreditation, it means Hendry Regional has complied with, or has exceeded, the national standards set by our peers. Those standards represent the best thinking about healthcare quality in our country. 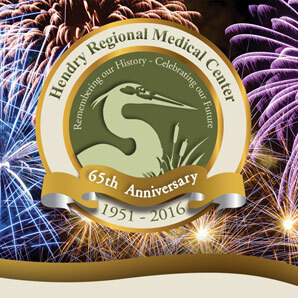 Hendry Regional Medical Center is dedicated to serving the community by providing the highest quality healthcare in a cost-effective, yet compassionate, manner. Towards this end, our hospital is uncompromising in its pursuit of excellence, placing the well-being of its patients and the good of its communities above all other considerations. This notice is posted in accordance with the Joint Commission's requirements and may not be removed. Patient safety concerns can be reported to The Joint Commission: At www.jointcommission.org, using the "Report a Patient Safety Event" link in the "Action Center" on the home page of the website. To file a complaint against a health care facility regulated by the Agency for Health Care Administration (AHCA): Call the toll-free number (888) 419-3456 or in writing to: Agency for Health Care Administration, Consumer Assistance Unit, 2727 Mahan Drive, Tallahassee, Florida 32308.